You can't do business with a better company. Our frame arrived scratched. They were VERY easy to deal with: replaced it quickly with apologies. Helpful, friendly, fast - all good! The frame is great for my grandchildren to show off their art! I purchased both the single & double for my three grandchildren. 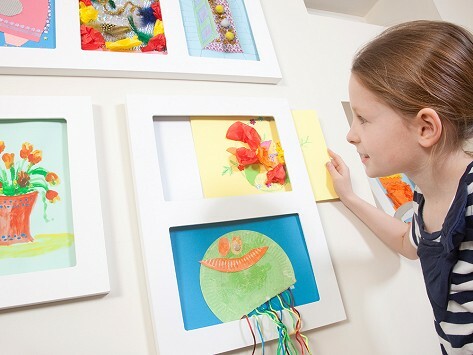 They love doing art projects at home and don't always create 'flat' art. They are working beautifully! Bought it for my wife for mother's day so she could have a place where she could rotate our toddler's art work. Good materials and well constructed. I love these frames. I have purchased two doubles so that I can display my granddaughter's art work. It is nice to be able to put new ones in when you receive them. 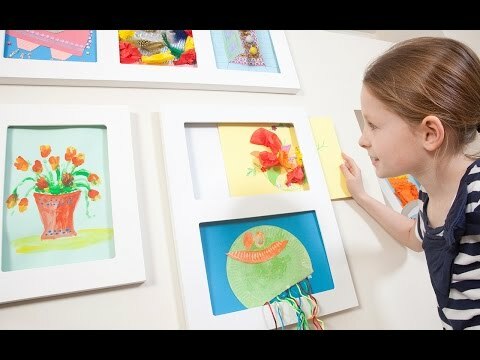 If you have a budding artist at your house, this is the frame to get! I purchased this for my granddaughter's artwork. I love it because every time she send me something new, I now have a beautiful frame for it. I also like the fact that they can be horizontal or vertical. Intact, I like it so much, I am thinking of purchasing another one. My son was so excited and proud to see his Student of the Month award go in. Looking forward to getting a Valentine!